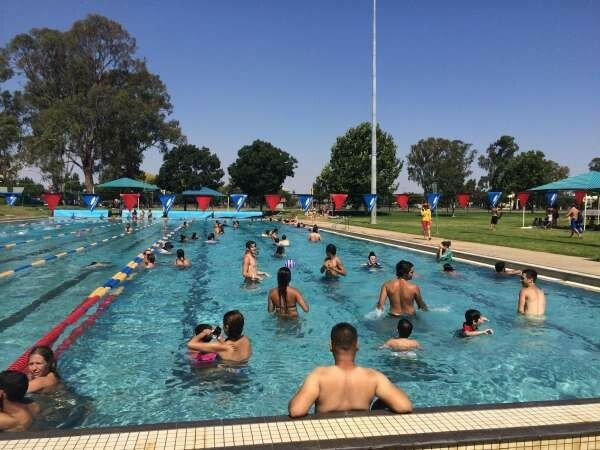 Extended Operation of the 50m Pool - Aquamoves – Indoor and outdoor pools, fitness facilities and programs in Shepparton, Victoria. It was published in March 2015, so the information may be out-of-date. Great news! Due to the warm weather, access to our 50m swimming pool has been extended until Thursday 2 April 2015. The Splash Park may also be turned on as requested. Please note that if the temperature is forecast for 23 degrees or below, the 50m pool will be closed. The outdoor Leisure Pool, Mooroopna, Tatura and Merrigum pools are all now closed. For more information contact Customer Service on 5832 9400.